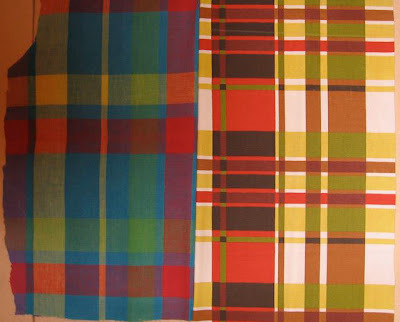 Sujata Shah, 36" x 48", recycled shirts. A few more quilt tops from correspondents in Washington state. 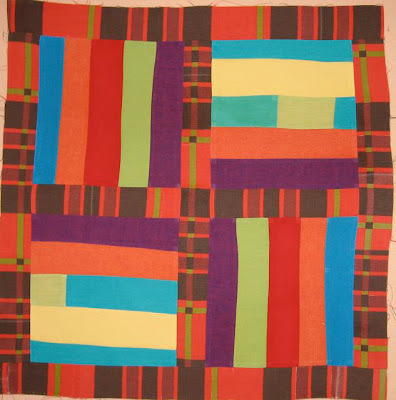 "This quilt is based on the Gee's Bend quilts. I used to teach at a local shop and ran a club for couple of years. 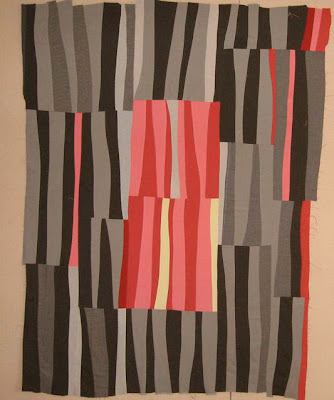 The club was called, 'Inspirations from Quilts of Gee's Bend'. I got really interested in free hand cutting and curve piecing. This is made out of shirts and I plan to hand quilt it with pearl cotton. " Foggy Day Quilt by Dorothy LeBoeuf, 20' x 20"
"...to dispell the fog. Made from solids in stash plus awful curtain fabric. So freeing to work with this stuff, after working with today's expensive fabrics. Also freeing to not use a ruler althugh it seemed strange at first. We are going to be sad when we run out of the awful curtain fabric." 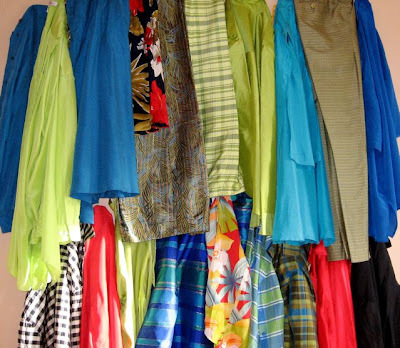 A shirt and "the awful curtain fabric"
Scrap Challenge by Dorothy LeBoeuf, 64" x 75"
"Silk garments waiting on the muse." 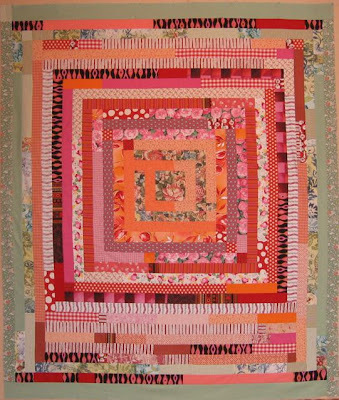 LOVE these quilts. I wish more quilters would embrace spontaneity. I wish I would be more spontaneous too.